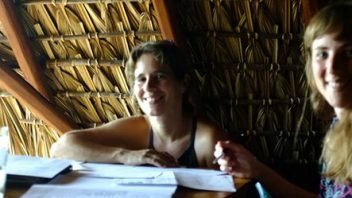 At Instituto Iguana, we believe that it's all about empowering our students to be "up and talking" as quickly as possible. Classes are held under a giant palm-roof with stunning views of the pacific ocean. 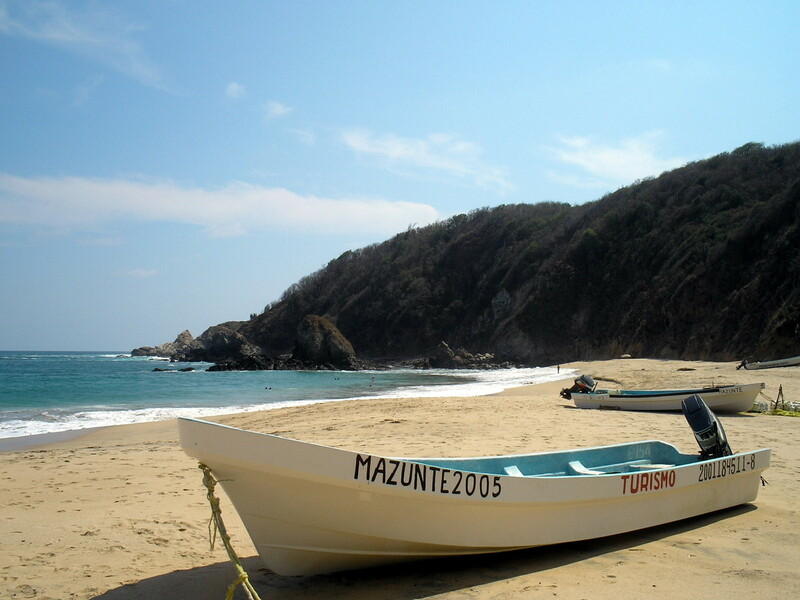 And there is always a fresh breeze, too. 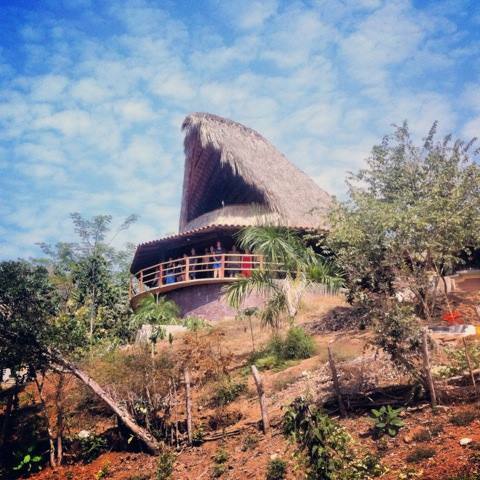 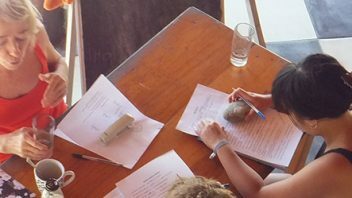 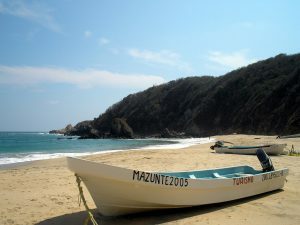 Our teachers know Mazunte and the area very well and will gladly share their knowledge with you. 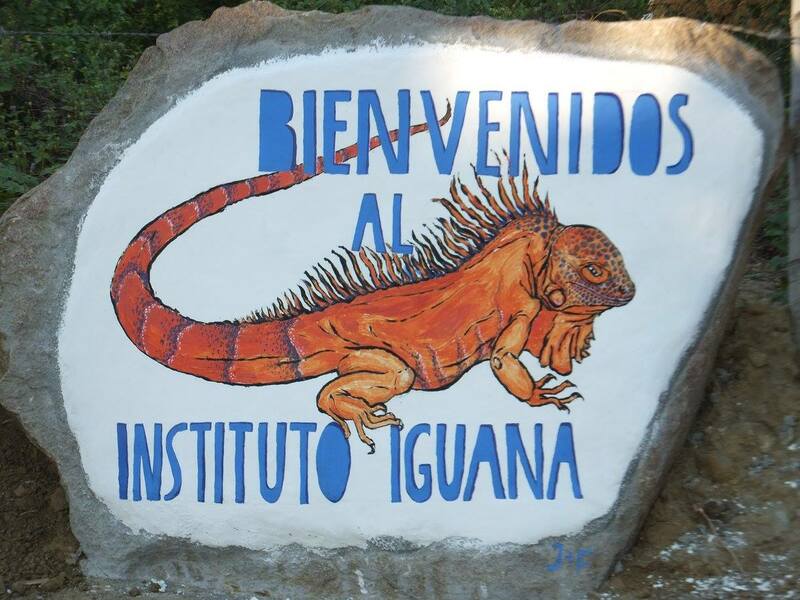 However, space was limited and in order to be able to develop and carry out cultural activities besides the ordinary spanish classes, we have built the new and much bigger "Instituto Iguana" on hill one one side of the village. A wonderfull cultural center has emerged here, just about 10 minutes from the beach and with picturesque views over the village and over the pacific ocean. 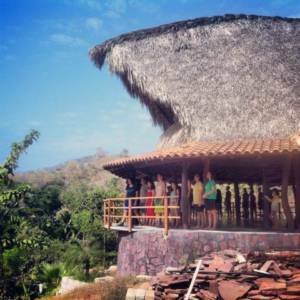 Since the construction was finished in 2013 all spanish lessons take place here under our big palm roof with ocean view. 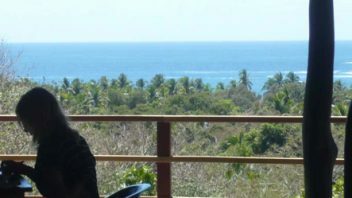 The new location features a house with office, guest rooms and sanitary facilities but also a giant 170 sqm wooden house (palapa) with a palm roof that houses a multifunctional room, open to three sides and with wonderful views over the ocean. 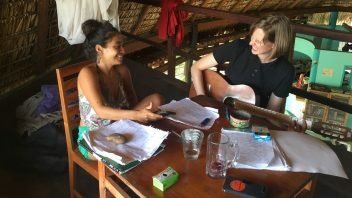 Here we hold all of the spanish lessons, but the space is also used for workshops, sports, yoga, dance and music events and intercultural exchange. A space that functions as a place of exchange for different people and cultures and that is, for all students and visitors of instituto iguana, a welcoming place to arrive, relax and enjoy.